Canyon War: The Untold Story makes its national television debut on September 8, 9:00 p.m. on the Aboriginal Peoples Television Network (APTN). The award-winning documentary will air on APTN’s “Reel Insights” strand. This ground-breaking documentary on miner-First Nations conflict in 1858 has won two awards from prestigious international independent film festivals. Canyon War took honours at both the New York International Independent Film and Video Festival (NYIIFVF) and Worldfest 2010 (the Houston International Film Festival). APTN is the first national Aboriginal television network in the world with programming by, for and about Aboriginal Peoples. An important entertainment, news and educational programming choice for approximately 10 million households in Canada, APTN broadcasts across the country through three regional feeds and an HD channel. 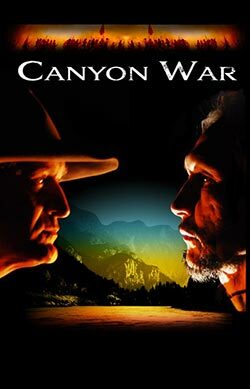 Canyon War aired in B.C. in January on Knowledge. The documentary is vividly brought to life by co-hosts Kevin Loring (a Governor General Award-winning playwright and actor from the Lytton First Nation) and Dr. Dan Marshall of the University of Victoria. Loring’s descendants resisted the thirty to forty thousand gold seekers who flooded into the Fraser River in 1858 while Marshall’s ancestors were among the gold-seekers.